Important notice: For those of you trading any stock index futures contracts, i.e., the E-mini S&P, E-mini NASDAQ, E-mini Dow Jones, the “Big” pit-traded S&P 500, etc., it is extremely important to remember that tomorrow, Thursday, December 13th, is rollover day. 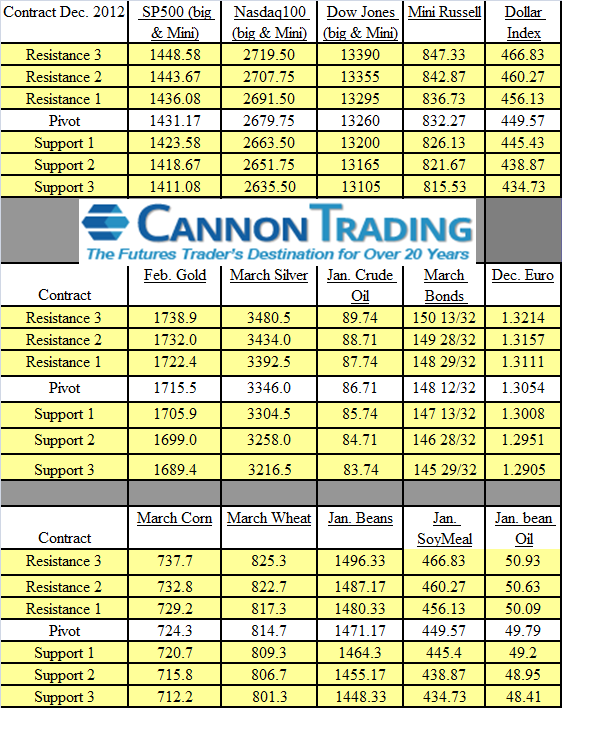 Starting December13th, the March 2013 futures contracts will be the front month contracts. It is recommended that all new positions be placed in the March 2013 contract as of December 13th. Volume in the December 12 contracts will begin to drop off until its expiration on Friday December 21st. The month code for March is H3. Please close any open December Currency positions by the close on Friday the 14th.